Forget the exterior styling for a minute. 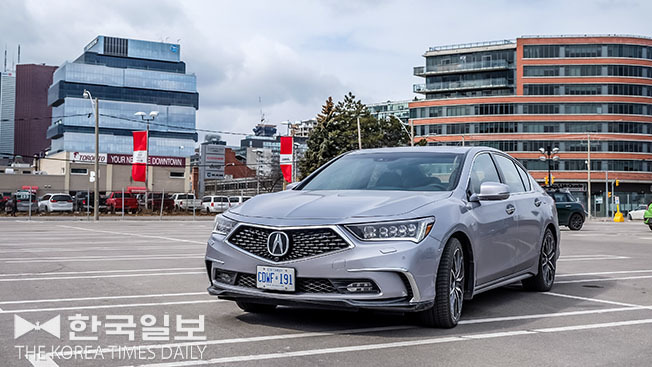 The RLX, Acura’s top-of-the-line luxury sedan, has many things to show off including quick acceleration, pliant ride, roomy and plush interior, competitive price, technological advances and excellent fuel efficiency for its size. What more can you ask? The sad truth, however, remains. Most luxury car buyers are looking elsewhere, mainly to the German brands. Even among the top-tier Japanese manufacturers, Lexus and Infiniti are getting more attention. Why is that? When it comes to engineering, Honda/Acura is among the leaders. Styling, it seems, is another matter. No matter what’s inside, it is the exterior that gets people’s attention. 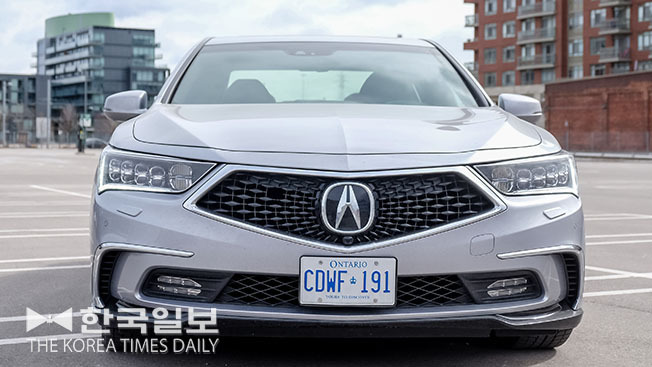 In the Acura’s case, the infamous ‘beak’ did not help matters: it was more like the Albatross around the Ancient Mariner’s neck. Perhaps it took a little too long to get rid of it. The new pentagonal front grill definitely improves things but the faint sour taste still remains. Still, the RLX, especially in the Sport Hybrid trim, has much to offer – starting with its price. The RLX Sport Hybrid with Super-Handling AWD starts at just $64,490 before taxes and other mandatory gouging. Even with the Elite package that includes the industry exclusive Krell audio, the MSRP comes in just under the 70 grand threshold. Such relatively low price is competitive with the Genesis G80 and is less than that of G90 and the Cadillac CT6. Compared to similarly equipped Teutonic barges, the RLX is a bargain worth pursuing. The RLX also shares technological advances showcased in the NSX, Acura’s supercar. This hybrid system incorporates three electric motors – one resides in the housing of the 7-speed dual-clutch transmission and acts as kind of torque-converter and the other two are each responsible for the rear wheels. The system acts as both the fuel-conserver, as well as the power-booster. The V6 sedan accelerates like a V8 muscle-car, but sips fuel like a four-cylinder compact. The 3.5 litre naturally aspirated V6 generates 310 horsepower and 273 lb-ft of torque all by itself. Combined with the afore mentioned three electric motors, the total output is increased to 377 horses and 341 lb-ft. The seven-speed DCT is relatively smooth. Call me old-fashioned, but this writer is not all that warm and fuzzy about manufacturers replacing perfectly good gear-shift levers with switches and dials. These don’t work all that well and add extra layer of complication (and thus more repair cost should things go wrong) to the mix. In case of Acura, one pushes the ‘D’ switch and pulls the ‘R’ switch. One gets familiar fast enough. Leave it in the Drive and the car pulls away with electric power and starts the engine as more power is needed. The computer automatically switches back and forth between gasoline and electric mode to either save fuel or provide more oomph. Push the ‘Sport’ button to activate the gasoline engine all the time. In this mode, the electric motors act as kind of superchargers. The acceleration, if not blistering, is certainly brisk. 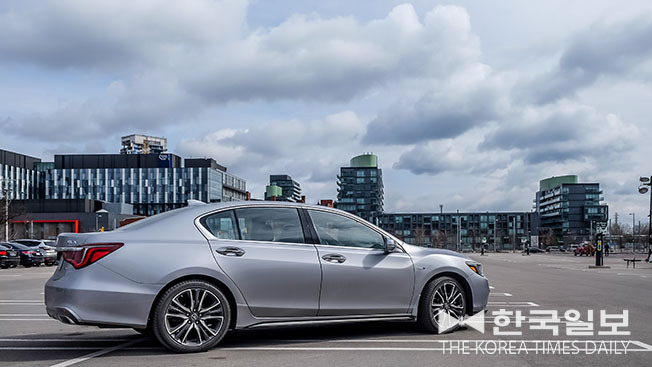 For a car that weighs in at 2,440 kg (5,380 lb), the RLX can hold its own during traffic light drag races. Acura touts its ‘Super-Handling’ AWD system. 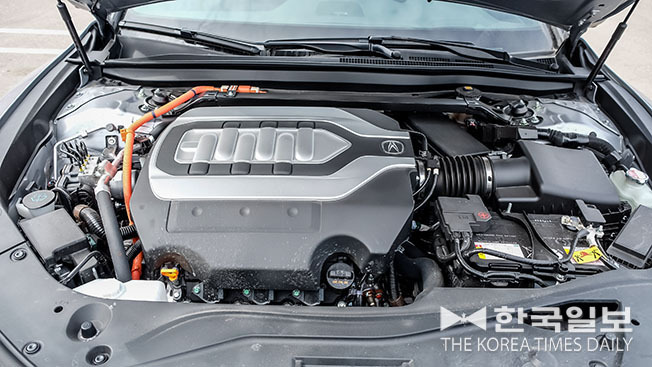 In case of the RLX, the rear electric motors not only provide power but can also act as torque-vectoring device that spins the outer wheels faster during turns. Of course, this helps immensely with the car’s handling. However, one can’t help but question if such system is wasted on this big sedan, the purpose of which is to coddle its occupants, not set track records. Even with ‘Sport’ in its name, the RLX Sport Hybrid is not really a sports sedan. It is, however, a sophisticated and capable luxury sedan. The car is roomy, seats are comfortable and the Krell audio system lets you hear sounds from familiar songs you haven’t heard before.